OXFORD, Miss. 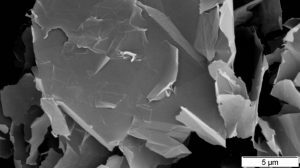 – The University of Mississippi has established a new center to advance translational science and engineering of graphene-based technologies. The Center for Graphene Research and Innovation was officially established Oct. 19, with approval from the Board of Trustees of State Institutions of Higher Learning. The new center will focus on bridging the gap between university-based science and discovery and industry-led innovations and applications for graphene, a form of carbon made of a single layer of atoms. First isolated and described by scientists in 2004, the material is incredibly strong and flexible, and its conductivity lends it to a broad range of applications ranging from manufacturing to electronics to medicine. Establishing the center aligns with UM’s status as a Carnegie R1 highest research activity institution and the growth of research in graphene and related nanostructure materials at the university over the last decade, Chancellor Jeffrey Vitter said. “The Center for Graphene Research and Innovation will serve as a hub connecting research activities across multiple disciplines and departments and will propel the university forward in this field,” Vitter said. Graphene is heralded for having significant growth potential across a number of market segments. It is 200 times stronger than steel and more conductive than silicon. Another notable property is flexibility, which allows it to be pulled and curved to a certain extent without breaking. Graphene makes solar cells 50 to 100 times more efficient, semiconductors 50 to 100 times faster, aircraft 70 percent lighter and composites more multifunctional. “Graphene is one of the strongest materials known,” said Alex Cheng, Dean of the UM School of Engineering. “It also has superior thermal, electric, electromagnetic and even antibacterial properties. 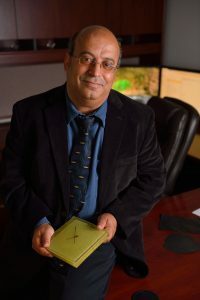 During the past few years, graphene-related research conducted at UM has included computational physical chemistry; photovoltaic solar cells; drug, protein and gene delivery; electromagnetic applications, including perfect absorbers, high-impedance surfaces, subwavelength imaging, hyperlenses, plasmonic waveguides, cloaking/invisibility and reduction of interference in antennas; and nanocomposites for defense, homeland security, aerospace and structural application. While graphene has a number of applications, initial sectors to be targeted by the center include energy, electronics, biomedical, and structural, said Ahmed Al-Ostaz, director of the Nano Infrastructure Laboratory and professor of civil engineering. “Graphene offers many potential applications, such as reinforcement in composites, energy conversion and storage, thermal conductors, electronics, anticorrosion coatings and paints, and drug and gene delivery to human diseases and medical devices,” Al-Ostaz said. The center will partner with a number of public and private entities, including the Oxford-based National Graphene Association. The association provides a networking and information platform to expedite the integration of graphene into the commercial arena. UM plays an active role in the association, including representation on the NGA Advisory Board. Among other national and international thought leaders from industry, government and academia, five members of the advisory board are from UM: Al-Ostaz, Cheng, Vitter, Josh Gladden, interim vice chancellor for research and sponsored programs, and Will Norton, dean of journalism and new media. “We are so excited to establish the Center for Graphene Research and Innovation,” Gladden said. “Graphene as a material shows great promise in a wide variety of applications from structural materials to electronics to biomedical.